Last year I undertook a compulsory unit at uni in qualitative research methodology.It got me thinking about the research we do to inform the design of applications we develop and the value of using a framework for research. I have been attending PDC 2010 the last few days i.e. a conference about participatory design in Sydney. It has been very interesting so far…both the lectures as well as the hall way conversations between a well represented international audience. I wanted to post about a workshop I did about innovative participatory design practices held by Peter Dalsgaard and Kim Halskov from Aarhus University in Denmark. 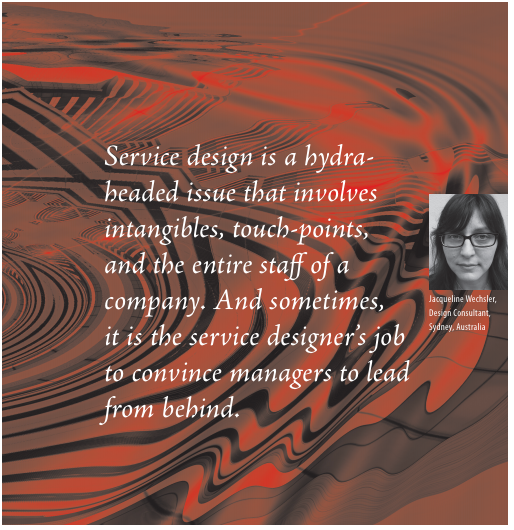 Thought provoking article from iA (creators of the webtrends maps) called “Can experience be designed”. I was having a chat with my lead designer at work today. We recently conducted some user testing with sample users testing three alternative look and feels for a new web service we are building for a client. These tests were done online via a questionnaire. I have been doing a lot of reading lately for my university literature review and have been thinking a lot about the relationship between user experience, design and research. These are some rough notes which are influencing my current, and continually evolving thinking on this topic. As my paper gets written, I will share more of my thoughts about these topics….